A biomedical research pioneer, Dr. Wallach, DVM, ND spent more than 40 years in the field of Veterinary Medicine, observing and researching the effects of individual nutrients on animal health, before becoming a Naturopathic Physician in 1982. Today, Dr. Wallach is renowned for his groundbreaking research on the health benefits of selenium and other minerals. He currently dedicates his time to lecturing throughout the world on the therapeutic benefits of vitamins and minerals, and on lobbying the U.S. Food and Drug Administration on behalf of the dietary supplement industry. 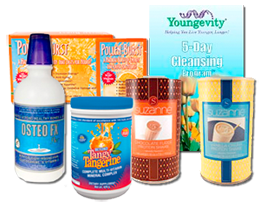 In 1997, Dr. Wallach and Dr. Ma Lan, MD, MS, founded American Longevity, the network marketing company known today as Youngevity. Within five years the company had an international network of distributors and preferred customers plus offices in Canada, Australia, New Zealand, Singapore, South Africa, and Japan. 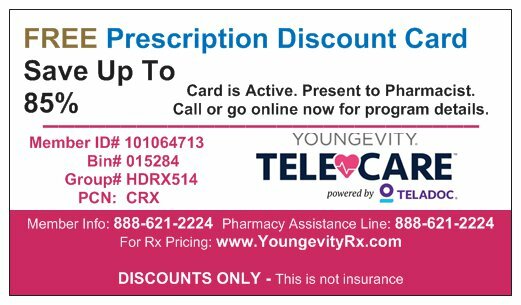 Today Youngevity is a network marketing leader providing high quality, innovative, and unique products health conscious consumers. 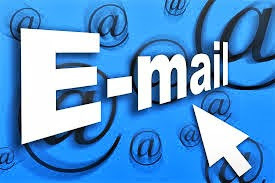 Click here to learn more about Youngevity. Dr. Wallach is the author/co-author of more than 70 articles published in peer-reviewed journals covering nutritional and pharmaceutical research. As well he is a major contributor to eight books, including the famous textbook,Diseases of Exotic Animals, still used today by leading veterinary schools, and on the Smithsonian Institute’s recommended reading list for Zoological Garden and Aquarium libraries. Dr. Wallach JD. Goitrogenic hypothyroidism in feeder lambs. Vet Med Small Anim Clin. 1965 Oct;60(10):1051-1053. Dr. Wallach JD, Doak RL, Schmidtke RP, Davis LE, Niemeyer KH. Thallium intoxication: a specific antidote, supportive therapy and clinical evaluation. Vet Med Small Anim Clin. 1965 Dec;60(12):1227-1231. Dr. Wallach JD, Hoessle C. Hypervitaminosis D in green iguanas. J Am Vet Med Assoc. 1966;149:912-914. Dr. Wallach JD. The Immobilization of rabbits and guinea pigs with M-99 (Etorphine). Unpublished data. St. Louis Zoological Gardens, 1966. Dr. Wallach JD. Immobilization and translocation of the White (Square-lipped) Rhinoceros. J Am Vet Med Assoc.1966;149:871-874. Dr. Wallach JD, Howcroft T. Variable number of coronary os in the aorta of the Zululand wildebeeste. Vet Med Small Anim Clin. 1967(1):21-22. Dr. Wallach JD, Hoessle C. Visceral gout in captive reptiles. J Am Vet Med Assoc. 1967;151:897-899. Dr. Wallach JD, Hoessle C, Bennett J. Hypoglycemic shock in captive alligators. J Am Vet Med Assoc. 1967 Oct 1;151(7):893-896. Dr. Wallach JD, Flieg GM. Nutritional secondary hyperparathyroidism in captive psittacine birds. J Am Vet Med Assoc. 1967 Oct 1; 151(7):880-883. Dr. Wallach JD. Angioedema associated with strawberry ingestion by a gorilla. J Am Vet Med Assoc. 1968 Oct 1;153(7):153:879-880. Dr. Wallach JD, Hoessle C. Fibrous osteodystrophy in green iguanas. J Am Vet Med Assoc. 1968 Oct 1;153(7):863-865. Dr. Wallach JD, Williamson WM. M.99-induced recumbency and analgesia in a giraffe. J Am Vet Med Assoc.1968 Oct 1;153(7):816-817. Dr. Wallach JD, Williamson WM. Partial list of parasites found at necropsy at the Chicago and St. Louis Zoological Parks. Proc Annu Meet Am Assoc Zoo Vet. December 10-11, 1968, pp. 7-8. Dr. Wallach JD, Frueh R. Pilot study of an organophosphate anthelmintic in camels and primates. J Am Vet Med Assoc. 1968 Oct 1;153(7):798-799. Dr. Wallach JD, Hoessle C. Steatitis in captive crocodilians. J Am Vet Med Assoc. 1968 Oct 1;153(7). Dr. Wallach JD. Common diseases and recommended treatments for waterfowl and game birds. Modern Game Breeding. 1969;5:18-25. Dr. Wallach JD, Flieg GM. Frostbite and its sequelae in captive exotic birds. J Am Vet Med Assoc. 1969 Oct 1;155(7):1035-1038. 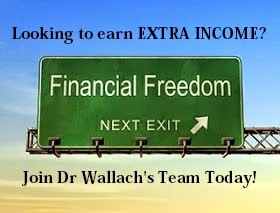 Dr. Wallach J.D. Etorphine (M-99), a new analgestic immobilizing agent and its antagonists. Vet Med Small Anim Clin. 1969 Jan;64(1): 53-58. Dr. Wallach JD. Medical care of reptiles. J Am Vet Med Assoc. 1969 Oct 1;155(7):1017-1934. Dr. Wallach JD. A simple technique for the collection of blood from small zoo animals. J Am Vet Med Assoc.1970 Sep 1;157(5):694-695. Dr. Wallach JD. Disease problems in group and zoogeographic displays. Proc Annu Meet Am Assoc Zoo Vet.October 12-14, 1970. pp. 7-8. Dr. Wallach JD, Middleton CC. Naturally occurring atherosclerosis in aoudads (Ammotragus lervia (Pallas)).Acta Zool Pathol Antverp. 1970 Jan;50:45-54. Dr. Wallach JD. Nutritional diseases of exotic animals. J Am Vet Med Assoc. 1970 Sep 1;157(5):583-599. Dr. Wallach JD. Diseases of reptiles and their clinical management. In Kirk RW (ed) Current Veterinary Therapy IV. Philadelphia, WB Saunders Co. 1971. pp 433-439. Dr. Wallach JD. Exotic diets are not for exotic pets. Gaines Small Anim. Nutrition Workshop, University of Illinois. March 1971. Dr. Wallach JD. Lumpy jaw in captive kangaroos. International Zoo Yearbook, London Zoological Society. 11:13; 1971. Dr. Wallach JD, Williamson WM. M-99 induced recumbency in a camel. J Zoo Anim Med. 1971 Apr;2:27. Dr. Wallach JD, Williamson, WM, Largarde K. Normal blood values of siberian ibex. J Zoo Anim Med. 1971 June;2:22-23. Dr. Wallach JD. Nutritional problems in zoos. Presented at Cornell Nutrition Conference for Feed Manufacturers. Buffalo, NY, 1971. pp. 10-19. Dr. Wallach JD. Environmental and nutritional diseases of captive reptiles. J Am Vet Med Assoc. 1971 Dec 1;159(11):1632-1643. Dr. Wallach JD. Management and medical care of goldfish. J Am Vet Med Assoc. 1971 Sep;159(5):585-595. Dr. Wallach JD. Gauntlet of the cage. J Zoo Anim Med. 1972 June. pp. 330-346. Dr. Wallach JD. The nutrition and feeding of captive ruminants in zoos. Digestive Physiology and Nutrition of Ruminants. Oregon State University Press, Vol. 3. 1972, pp. 292-307. Dr. Wallach JD. Management and medical care of pinnepeds. J Zoo Anim Med. 1972 Dec;3(4):45-72. Dr. Wallach JD. Surgical techniques for caged birds . Vet Clin North Am. 1973;3:229-236. Boever WJ, Thoen CO, Dr. Wallach JD. Mycobacterium chelonei infection in a natterer manatee. J Am Vet Med Assoc. 1976 Nov 1;169(9):927-929. Dr. Wallach JD. Anasthesia of reptiles, In Kirk RW (ed) Current Veterinary Therapy VI: Small Animal Practice.Philadelphia, WB Saunders Co. 1977, pp. 807-808. Dr. Wallach JD. Erysipelas in two captive Diana monkeys. J Am Vet Med Assoc. 1977 Nov 1;171(9):979-980. Dr. Wallach JD, Silberman MS. Foot care for captive elephants. J Am Vet Med Assoc. 1977 Nov 1;171(9):906-907. Dr. Wallach JD. Management and nutritional problems in captive reptiles. In Kirk RW (ed), Current Veterinary Therapy VI: Small Animal Practice. Philadelphia, WB Saunders Co. 1977, pp. 778-787. Dr. Wallach JD. Cystic fibrosis: a proposal of etiology and pathogenesis. Presented at Workshop on Model Systems for the Study of Cystic Fibrosis, Bethesda, MD, May 25-26, 1978. Dr. Wallach JD. Feeding and nutritional diseases (reptiles). In Fowler ME (ed), Zoo and Wild Animal Medicine. Philadelphia, W.B. Saunders Co. 1978, pp. 123-128. Dr. Wallach JD. Reptile physiology. In Fowler ME (ed), Zoo and Wild Animal Medicine. Philadelphia, WB Saunders Co. 1978, pp. 114-119. Dr. Wallach JD, Wallach JE. Rhino Express. Vantage Press, New York, NY, 1978. Dr. Wallach JD, Ursidae. In Fowler ME (ed), Zoo and Wild Animal Medicine. Philadelphia, WB Saunders Co. 1978, pp. 628-637. Dr. Wallach JD, Germaise B. Cystic fibrosis: a perinatal manifestation of selenium deficiency. Presented at the Thirteenth Annual Conference of Trace Elements in Environmental Health. University of Missouri, Columbia, MO. June 1979, pp. 469-476. Dr. Wallach JD. The mechanics of nutrition for exotic pets. Vet Clin North Am Small Anim Pract. 1979 Aug;9(3):405-414. Dr. Wallach JD, Lagarde K. Air sacculitis in guenons. Unpublished Data, Chicago Zoological Society. Dr. Wallach JD. A defense against the new epidemic. NCNM News, Vol 1, No 5, 3; March 1980. Dr. Wallach JD. Laboratory Perspectives: Hair Analysis Part I: Chromium. NCNM News, Vol 1, No 6, 4; April 1980. Dr. Wallach JD. Laboratory Perspectives: Hair Analysis Part II: Zinc. NCNM News, Vol 2, No 1, 3; December 1980. Dr. Wallach JD. Laboratory Perspectives Part III: Hair Analysis: Copper. Nat. Coll. of Naturopathic Med. Review,Vol. 2, No. 2, 6-7; Feb/Mar 1981. Dr. Wallach JD, Laboratory Perspectives Part IV: Hair Analysis: Ca:Mg. Nat. Coll. of Naturopathic Med. Review,Vol. 2, No. 3, 9-11; Apr/May 1981. Dr. Wallach JD, Laboratory Perspectives Part V: Hair Analysis: Selenium. Nat. Coll. of Naturopathic Med. Review,Vol. 2, No. 4, 11-14; June/July 1981. Dr. Wallach JD, Hoff, GL. Metabolic and Nutritional Diseases of Reptiles. In Hoff GL, Davis JW (eds), Noninfectiopus Diseases of Wildlife, pp. 155-167. Ames, IA. The Iowa State University Press, 1982. Dr. Wallach JD, Cooper R. Nutrition of Wild Birds. In Cooper R, Davis JW (eds), Noninfectious Diseases of Wild Animals, pp. 113-126. Ames, IA. The Iowa State University Press, 1982. Dr. Wallach and Ma Lan, MD. Common Denominators in the Etiology and Pathology of Visceral Lesions of Cystic Fibrosis and Keshan Disease. Chinese Journal of Endemiology, 1989. Dr. Wallach and Ma Lan, MD. Let’s Play Doctor. Wellness Publications, LLC, Bonita, CA, 1989, 2002. Dr. Wallach JD and Ma Lan, MD. Rare Earths: Forbidden Cures. Double Happiness Publishing Co., Bonita, CA, 1994. Dr. Wallach JD and Ma Lan, MD. Dead Doctors Don’t Lie. Legacy Communications Group, Inc., Franklin, TN, 1999. Dr. Wallach JD and Ma Lan, MD. Let’s Play Herbal Doctor. Wellness Publications, LLC, Bonita, CA, 2002. Dr. Wallach JD and Ma Lan, MD. God Bless America. Wellness Publications, LLC, Bonita, CA 2002. Dr. Wallach JD and Ma Lan, MD. Hell’s Kitchen. Wellness Publications, LLC, Bonita, CA 2004. Dr. Wallach JD and Ma Lan, MD. Passport to Aromatherapy. Wellness Publications, LLC, Bonita, CA 2005. Dr. Wallach JD and Ma Lan, MD. Black Gene Lies. Wellness Publications, LLC, Bonita, CA 2006. Dr. Wallach JD and Ma Lan, MD. Immortality. Wellness Publications, LLC, Bonita, CA, 2008.